Email sent for one Sapphire 25!! I would describe mine as being on the cool side with the beam being all flood. It is bright enough to navigate indoors and a bit lacking in reach outdoors (though workable in complete darkness). The only other AAA light I have is the Solitaire, and there is no comparison. Is it also possible to buy only the titanium battery tube of the sapphire? If yes, how much would it cost? Definitely cool, distinctly bluish compared to white light, but if you compare it to a first-generation Arc AAA the Arc AAA will look purple by comparison. It's a good tint for the amount of light it produces, because warm light would be nearly useless at 10 lumens or whatever this makes. The beam is a circle of light, no hotspot. Think of a Mule, only smaller. Excellent for close-up work, like reading maps in a dark car. I have the titanium parts machined in equal numbers so pulling out one creates an orphan of its mate. For this reason and others, I am not offering the individual components separately. Last edited by infinitelight; 09-15-2010 at 12:23 PM. email sent for one Sapphire 25! Just picked my Sapphire 25 out of the mail box. I love this thing! This is the first time I've purposely sought out a specific light. Before now, I've just bought whatever was available at walmart. heh. Shipping time is phenomenal! I ordered this on the first and already have it. Received my Sapphire 25 yesterday. Again a very nice light from Don. First I had concerns about the "only 5 lumens"
Thought I'd check back in right quick. I edited the first post in this thread with info about an addition of the Sapphire GS to the offering. Basically now you can request the Sapphire 25 that comes with the Nichia 310DS 3 mm LED which is a cool white temperature. Or you can request the Sapphire GS which is host to a 5 mm Nichia GS LED of warm color temperature. Last edited by McGizmo; 09-03-2011 at 04:12 AM. Don I received the Sapphire GS today, what a great little EDC. just put a QTC in it....PERFECT...THANKS...Robert. Don - my Sapphire GS just arrived. So perfect. I had my prior Sapphire modified with a 'yellowish' LED and it was too yellow - this little GS warm appears, to my eyes at last, closer to neutral and it's PERFECT. Such a nice, even, Sundrop type beam. I love it. Last edited by run4jc; 09-12-2011 at 04:38 PM. How much for the moth? I assume shipping is still the standard small flat rate box price?? I have received a couple comments from folks getting these that they could be warmer to meet their desire. The bin of these GS is a lower color temp than that of the 310DS I have been using and to my old eyes appears obviously warmer than the 310DS. But perhaps these are neutral and not warm. My bad. As much as possible I have tried to avoid, and certainly not cater to, the subjective issues of bin, tint and cosmetics in my offerings. I appreciate the importance of these issues to many of us and do hope to be forthcoming and disclose what I can in regards to my offerings and how they might be viewed or perceived in these regards. I personally consider the GS to be of a warm color temp relative to the "standard" Sapphire but perhaps it is simply neutral. I opened a door (which I regret) when I offered some Haiku XP-G's in a warm option. 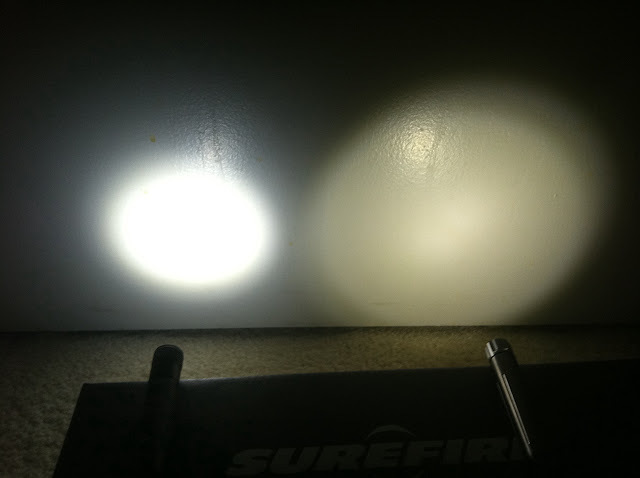 I had some concerns about tint and color temp with these GS LED's but they are a more efficient LED with comparable flux to the DS and worth consideration on those merits alone. I assumed being warmer would be acceptable if not preferable, to many of you. If they aren't warm enough then so be it and please take that into account. The moth flew away after posing for me and I promised it no harm would come of it which would probably include selling it off. Wow, it seems there is no blue or purple hotspot the nichia GS are known for. Is this a new generation of Nichia? It is my understanding that this GS is a new generation, yes. It is a beautiful, mule like beam - nice tint, even lighting, and as been said over and over, 5 lumen may not seem like much, but in a dark house with adjusted vision, it's quite amazing! Darn. That moth was so cool. You always have amazing little creatures in your pics Don. Baby skinks, cool moths, frog fish, turtles, women in bikinis.... Hawaii: is there anything it doesn't have? We have had an unusually high amount of these neat little green tree frogs all over our house this year, which is really cool, I love 'em. There's one little one that keeps showing up. I know it's the same since it has a birth defect and only has one eye. When he pops up, if I have a chance I catch big ants and put them by him to eat cuz it's awesome to watch him pounce on them. We named that frog Tom, after my uncle who lost an eye in an accident at work, LOL. The accident wasn't funny, but naming the frog Tom is. If he shows up again, I'll try to get a pic for you, he's pretty cute. Sorry for the way off topic post, haha. Ummm, Yay Haiku! Err, wait, wrong thread. Carry on. Email incoming with order for Sapphire GS, thanks Don! At this point I am out of the GS LED's for a bit. I have contacted those of you who have already sent me a request for one. I'll post here again when the Sapphire GS is again available and sorry for the out of stock situation. Finally ! After weeks of regular use, I have depleted a battery. I haven't done a formal run test, but I am amazed at the runtime of the new GS led at the current drive level. 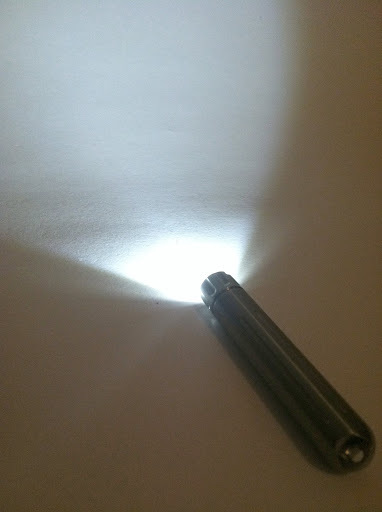 For a small, single aaa edc, this light is perfect for me. Now back in the saddle with the components necessary for the Sapphire GS so they are available again. Sorry for the outage time.